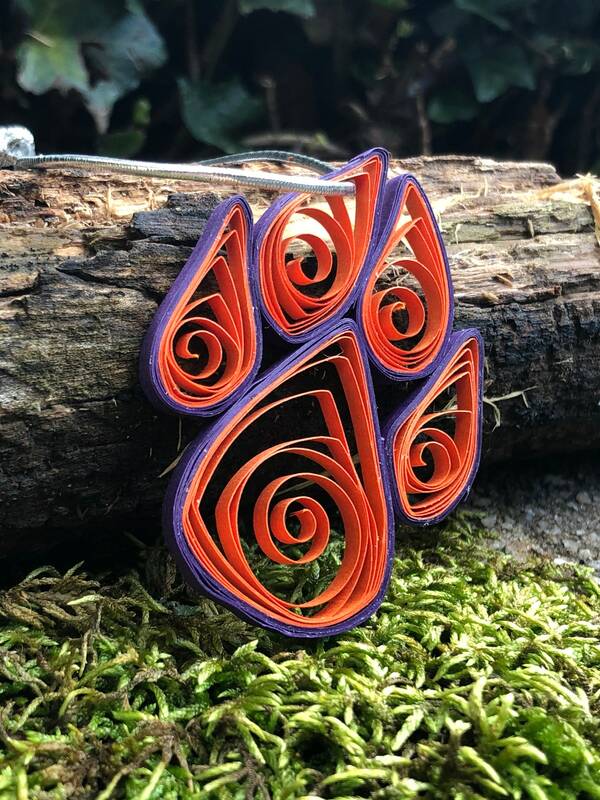 This is a one of a kind, handmade quilled window decoration or Christmas Ornament in a tiger paw design inspired by the Clemson tiger paw. 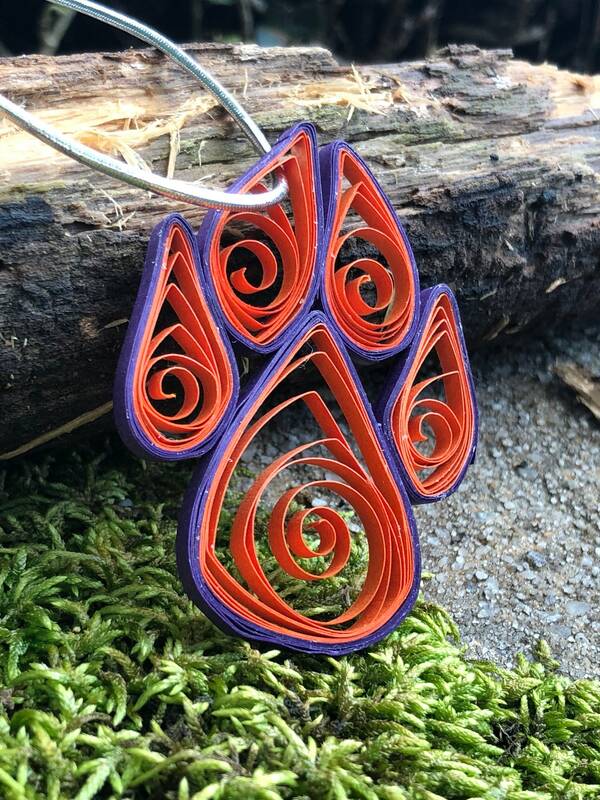 It is made with pearlized orange and purple paper. The ornament is about 2" across. 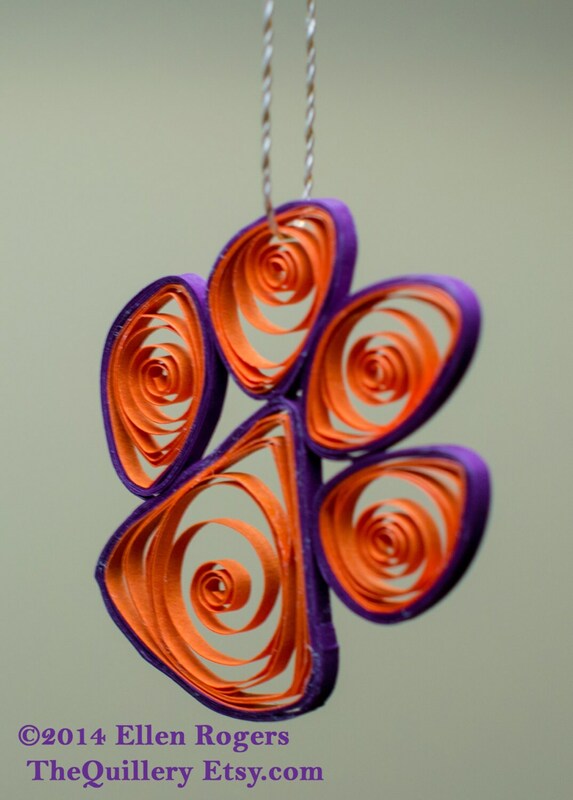 Show off your Tiger Pride with this ornament on your Christmas tree this year or gift it to a fellow Tiger fan! 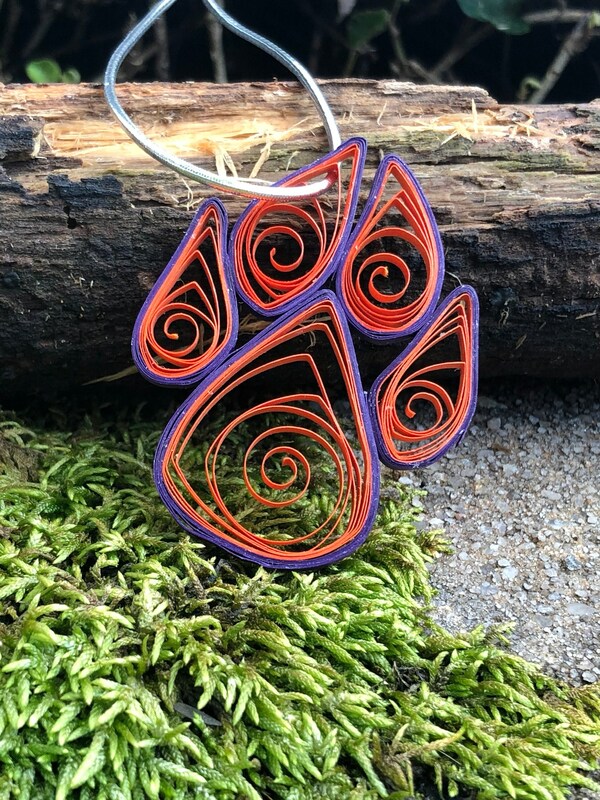 I can make this design in any color or quantity provided adequate time is allotted. Contact me if you have any requests or questions! 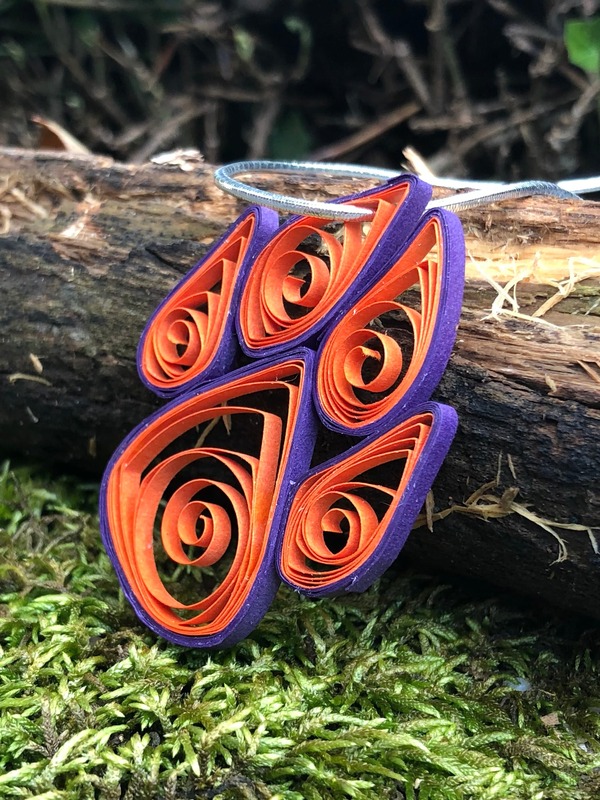 I do give a discount if 10 or more are ordered! 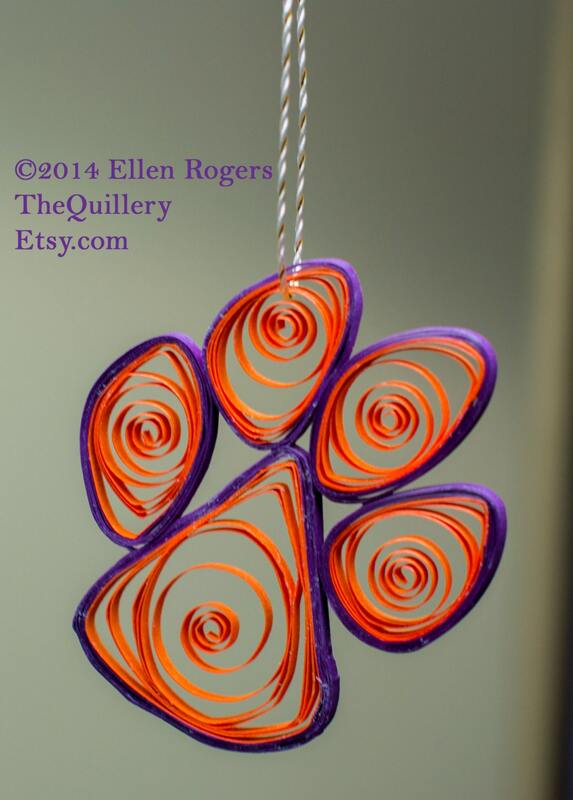 * For this item I will offer free delivery to the immediate Clemson, SC area. 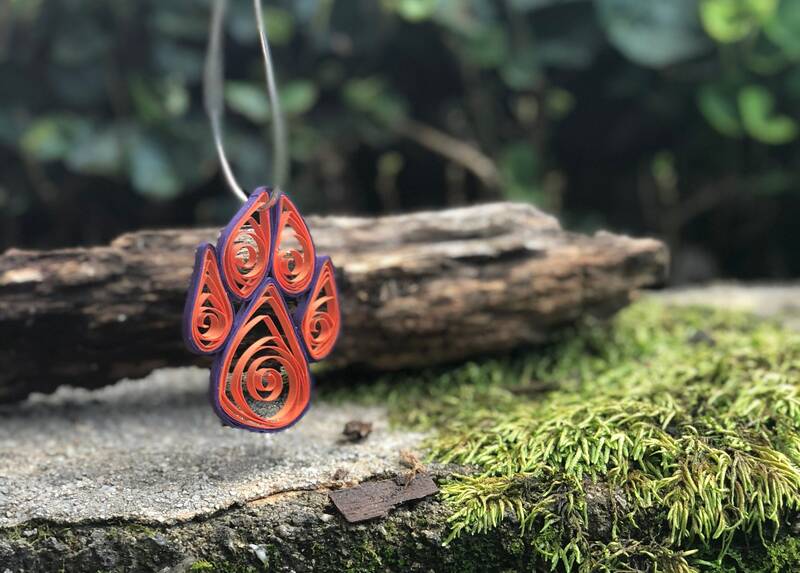 Message me before you buy and I will make a special listing for you. Awesome as always! Thanks so much! Ordered this for my boyfriend for Christmas. He loved it. I thought it was going to be bigger than it was but it's still lovely. A bit concerned with how fragile it is. I'll just have to be super careful with it I guess.